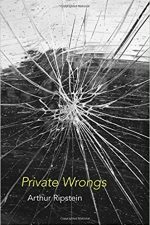 View faculty publications (books, authored and edited, as well as selected articles) by author’s last name from P to T below. 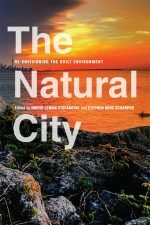 Click on a book cover’s image or linked article citation to visit the publisher’s or retailer’s website. 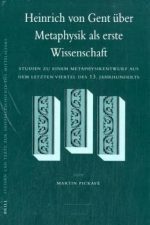 “Metaphysik H”, in: C. Rapp (ed. 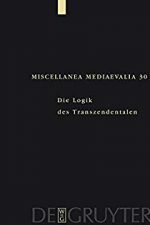 ), Aristoteles: Metaphysik. Die Substanzbücher Zeta, Eta, Theta (Klassiker Auslegen),Akademie Verlag, expected date: 2018. 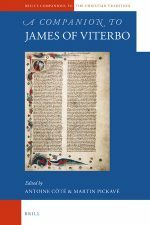 “Skeptical Arguments in the later Middle Ages,” in: G. Anthony Bruno/A.C. Rutherford (eds. 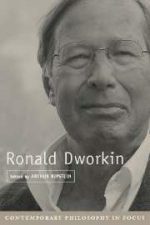 ), Skepticism: Historical and Contemporary Inquiries, Routledge: Abingdon, 2018, 131-148. “Robert Grosseteste on Free Choice,” in: Tristan Sharp et al. (eds. ), From Learning to Love: Schools, Law, and Pastoral Care in the Middle Ages. Essays in Honour of Joseph W. Goering, PIMS: Toronto, 2017, 70-89. “Peter Auriol and William of Ockham on a Medieval Version of the Argument from Illusion,” in: Jenny Pelletier/Magali Roques (eds. 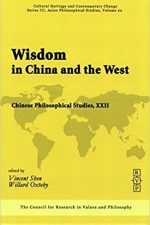 ), The Language of Thought in Late Medieval Philosophy, Springer: Cham, 2017, 183-199. 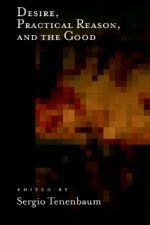 “John Buridan on the Psychology and Morality of Appetitive Acts,” in: Gyula Klima (ed. ), Questions on the Soul by John Buridan and Others. 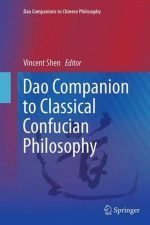 A Companion to John Buridan’s Philosophy of Mind, Springer: Cham, 2017, 168-182. “Some Later Medieval Responses to the Paradox of Learning,” in: Andreas Speer et al., Schüler und Meister, W. de Gruyter: Berlin, 2016, 21-44. “Causality and Cognition: An Interpretation of Henry of Ghent’s Quodlibet V, q. 14,” in: Gyula Klima (ed. 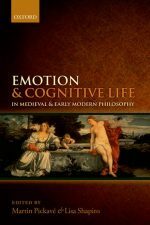 ), Intentionality, Cognition, and Mental Representation in Medieval Philosophy, Fordham University Press: New York, 2014, 46-80. 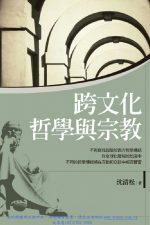 “Aquinas on Incontinence and Psychological Weakness,” in: Tobias Hoffmann/Jörn Müller/Matthias Perkams (eds. ), Thomas Aquinas and the Nicomachean Ethics, Cambridge University Press: Cambridge, 2013, 184-202. “Que signifie ‘être libre’? Le cas de Henri de Gand,” Médiévales 63 (2012), 91-105. “Human Knowledge,” in: Brian Davies/Eleonore Stump (eds. ), The Oxford Handbook of Aquinas, Oxford University Press: Oxford, 2012, 311-326. “Henry of Ghent on Individuation, Essence, and Being,” in: Gordon Wilson (ed. ), A Companion to Henry of Ghent, Brill: Leiden, 2010, 181-209. “On the Intentionality of the Emotions (and of Other Appetitive Acts)”,Quaestio 10 (2010), 45-63. “Nicomachean Ethics 7. 3 on Akratic Ignorance,” Oxford Studies in Ancient Philosophy 34, (2008), 323-371 (co-authored with Jennifer Whiting). “Can We Do Without Concepts? 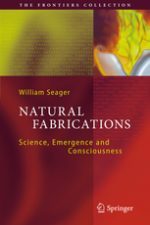 Comments on Machery’s Doing Without Concepts.” Philosophical Studies, February 2010. 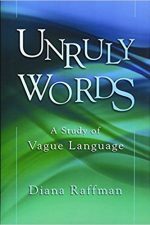 “Demoting Higher-Order Vagueness”. In S. Moruzzi, R. Dietz, C. Wright, Cuts and Clouds, OUP, 2010. 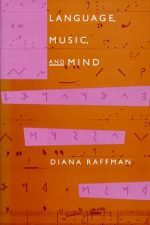 “Music, Philosophy, and Cognitive Science”. Forthcoming in T. Gracyk (ed. 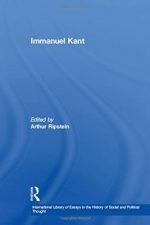 ), Routledge Companion to Philosophy and Music. “From the Looks of Things”. In Edmond Wright (ed. ), The Case for Qualia (MIT, 2008). “Borderline Cases and Bivalence”, The Philosophical Review 114(1). 2005. 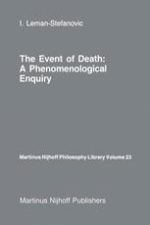 “Even Zombies Can Be Surprised”, Philosophical Studies. 2005. “How to Understand Contextualism About Vagueness: Reply to Stanley”, Analysis. 2005. 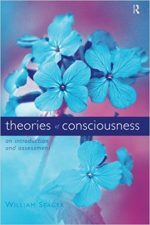 “Some Thoughts on Thinking About Consciousness“, Philosophy and Phenomenological Research 72. 2005. For a symposium on David Papineau’s Thinking About Consciousness. Published together with commentaries by Tim Crane and Chris Hill and a response by Papineau. “Is Twelve-tone Music Artistically Defective?”, Midwest Studies in Philosophy. 2003. “What Autism May Tell Us About Self-Awareness”, Mind and Language. 2000. “Is Perceptual Indiscriminability Nontransitive?”, Philosophical Topics. 1999. “Disagreement and the First-Person Perspective”, Analytic Philosophy, forthcoming. 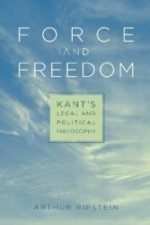 “Are Propositions Mere Measures of Mind?”, Philosophy and Phenomenological Research, forthcoming. 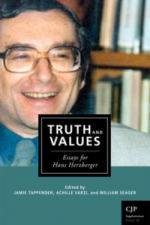 “Truth Incorporated” (2016), Noûs, 50 (2): 227-258.
Review of The Rules of Thought, by Jonathan Jenkins Ichikawa and Benjamin W. Jarvis, Notre Dame Philosophical Reviews, 2014.05.27. 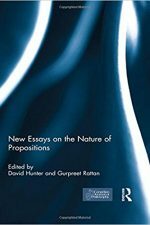 “Essays on the Nature of Propositions” (2013), Special Issue of Canadian Journal of Philosophy (co-edited with David Hunter). “On the Sense and Reference of the Concept of Truth”, Philosophy 88 (2013), 433-450. “Intellect and Concept”, The Baltic International Yearbook of Cognition, Logic and Communication 5 (2010), 1-61. “Metarepresentation and the Cognitive Value of the Concept of Truth” (2010), Cory D. Wright and Nikolaj Pedersen, New Waves in Truth, Palgrave MacMillan. “Means and Ends” (Fifth Annual Jurisprudence Lecture) Jurisprudence. 6(1) (2015) 1–23. “Civil Recourse and the Seperation of Wrongs and Remedies” Florida State University Law Review [Forthcoming]. “Distinctions of Power and the Power of Distinctions: a Response to Professor Koskenniemi” 61 University of Toronto Law Journal 67-73 (2011). “Critical Notice of GA Cohen Rescuing Justice and Equality” Canadian Journal of Philosophy 40:4 669-700 (2010). “The Faces of Simplicity in Descartes’s Soul”, Partitioning the Soul: Ancient, Medieval and Early Modern Debates, 2014. ed. by Klaus Corcilius & Dominik Perler, Berlin & New York: W. de Gruyter. “Mills Can’t Think: Leibniz’s Approach to the Mind-Body Problem” Res Philosophica 2014, pp. 1-28. “Pasnau on the Material-Immaterial Divide in Early Modern Philosophy”, Philosophical Studies 2014, pp. 1-14. “Unity in the Multiplicity of Suárez’ Soul”, in Benjamin Hill and Henrik Lagerlund eds., The Philosophy of Francisco Suarez, Oxford University Press 2012, pp. 154-172. “Separability, Real Distinction and Corporeal Substance in Descartes”, Midwest Studies in Philosophy, 2011, Peter French, Howard Wettstein and John Carriero eds., Wiley Blackwell Publishing, pp. 240-258. “Descartes and the Immortality of the Soul”, in Mind, Method and Morality: Essays in Honour of Anthony Kenny, Oxford University Press, 2010, John Cottingham and Peter Hacker eds. 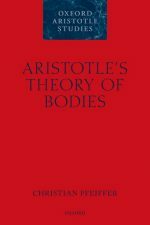 “Leibniz on Final Causation”, Metaphysics and the Good: Themes from the Philosophy of Robert Merrihew Adams, Oxford University Press 2009, pp. 279-294. “Descartes’s Ontology of the Eternal Truths“, in Contemporary Perspectives on Early Modern Philosophy: Essays in Honor of Vere Chappell, Paul Hoffman, David Owen, Gideon Yaffe eds., Broadview Press, 2008, pp. 41-63. 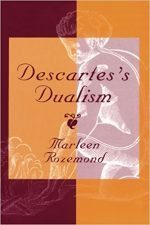 “Descartes on Mind-Body Union and Holenmerism”, Philosophical Topics (2003). “The Radical Wing of Consciousness Studies: Idealism, Panpsychism and Emergentism”, forthcoming in Rocco Gennaro (ed.) 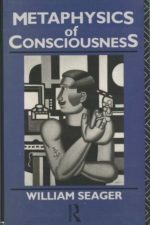 The Routledge Handbook of Consciousness. 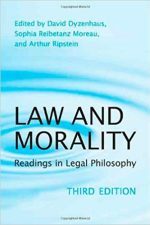 “How Moral Uncertaintism Can Be Both True and Interesting” Oxford Studies in Normative Ethics, Vol. V (Mark Timmons, ed.) Oxford University Press. “Moral Uncertainty,” forthcoming in Routledge Handbook of Moral Epistemology (Karen Jones, Mark Timmons, and Aaron Zimmerman, eds.) Routledge. 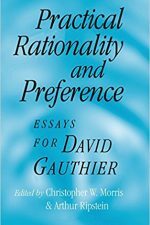 “Subjective and Objective Reasons,” forthcoming in Oxford Handbook on Reasons and Normativity (Daniel Star, ed.) Oxford University Press. “Pragmatism and Meta-Ethics,” forthcoming in Routledge Handbook of Meta-ethics (Tristram McPherson and David Plunkett, eds.) Routledge. 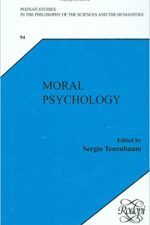 “Moral Uncertainty and Fetishistic Motivation,” Philosophical Studies (2016). 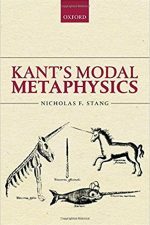 “Moral Realism without Moral Metaphysics,” Oxford Studies in Meta-ethics, Vol. XI (Russ Shafer-Landau, ed.) 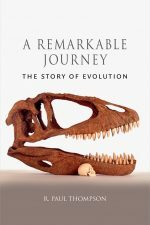 Oxford University Press (2016). “Should You Look Before You Leap?” The Philosophers’ Magazine (2014). “What to Do When You Don’t Know What to Do When You Don’t Know What to ” Nous (2014). 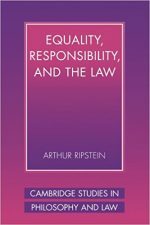 “The Law’s ‘Majestic Equality’,” Law and Philosophy (2013). “From E&M to M&E: A Journey through the Landscape of Computing”, in Philosophy of Computing and Information: 5 Questions, ed. by Luciano Floridi, Copenhagen: Automatic Press/VIP, 2008. “The Foundations of Computing”, in Computationalism: New Directions, ed. by Matthias Scheutz, Cambridge, Mass. 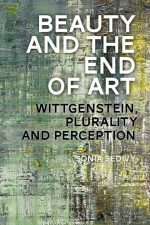 : MIT Press, 2002, 23-58. 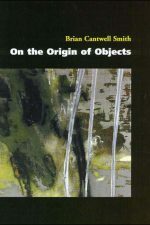 Limits of correctness in computers”, in Computerization and controversy (2nd ed. ), Pages 810-825, Academic Press, Inc. Orlando, 1996 . “The owl and the electric encyclopedia”, Artificial Intelligence, Volume 47, Issues 1–3, January 1991, Pages 251-288. “The semantics of clocks”, in Aspects of artificial intelligence, 1988 – Springer. “The Correspondence Continuum”, Center for the Study of Language and Information, 1987. “Two lessons of logic”, Computational Intelligence, Volume 3, Issue 1, February 1987, Pages 214–218. “Reconsidering Intentions” (forthcoming in Noûs). “Deontology and Risk: Against the Multiplicative Model“, Ethics 127 (April 2017)​, pp. 674-707. “Representing Collective Agency” (part of a symposium on Michael Bratman’s Shared Agency), Philosophical Studies 172 (12):3379-3386, 2015. “Minimalism about Intentions”, Inquiry (Special Issue on Choice Over Time)​, 57 (3):384-411, 2014. “Vague Projects and the Puzzle of the Self-Torturer” (with Diana Raffman), Ethics 123, October 2012, pp. 86-112. 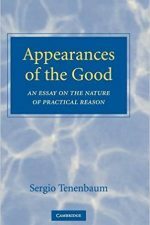 “Knowing the Good and Knowing What One is Doing”, Canadian Journal of Philosophy, suppl. vol. 35 (special issue on Belief and Agency). 2012. “The Role of Mathematical Models in the Formalisation of Self-Organising Systems,” in B. Fletz, M. Crommelinck, Ph. Goujon (eds.) Self-Organisation and Emergence in the Life Sciences Dordrecht: Kluwer (Springer Science), 2005, pp301-313 [English modification of 23]. 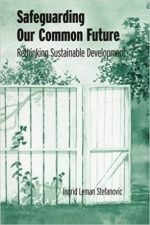 (with Philippe Constantineau and George Fallis – Paul Thompson as principal author) “Academic Citizenship,” Journal of Academic Ethics (2006) 1-16. “Science, Technology and the Future of Food,” African Journal of Food, Agriculture, Nutrition and Development 9 (2009) 1-17. “Causality, Mathematical Models and Statistical Association: Dismantling Evidence-Based Medicine,” Journal of Evaluation in Clinical Practice (2010) 16: 267-275. “Theories and Models in Medicine” in Handbook of the Philosophy of Science, Volume 4, Philosophy of Medicine edited by Frederick Gifford, New York: Elsevier (2011) pp.115-136. “Development of an Evolutionary account of ‘Right Action’ and its application to the Genetically Modified Plants Debate” in Robert Richards and Michael Ruse (eds.) 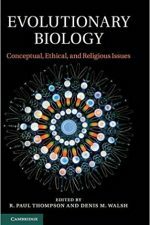 Cambridge Handbook on Evolutionary Ethics, Cambridge: Cambridge University Press. (in press).